Changes have been made over on Flickr some users aren’t too happy about. Yahoo has decided that it can sell canvas prints of creative commons images belonging to users without sharing any of the revenue. Flickr was already selling non-commercial use images, but was splitting revenue with the owners at a rate of 51%. While creative commons images can be used for free for a number of reasons, there are some user that don’t like the idea of Yahoo making a profit from them. In many cases, these images are used for media purposes by third party companies, not directly being sold by Flickr. It appears that Yahoo isn’t in violation of any law by offering up the $50 prints, and users that don’t like Flickr’s new creative commons marketplace can simply opt out. Users can switch their images to non commercial licenses to stop them from being picked up by Flickr, but the issue is that those images are now unavailable for the intended end user as well. 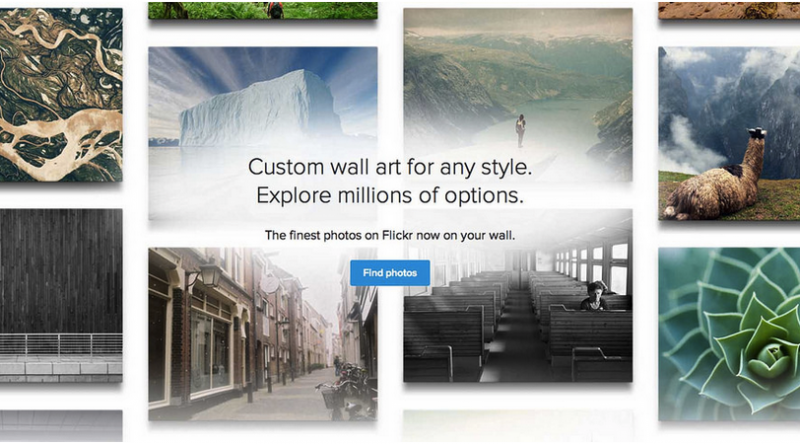 Known as Flickr’s Wall Art collections, it is still too early to tell how much of an overall effect the creative commons art sales will have on the service as a whole. While there are likely a large number of users that are impartial to the move, there seems to be some Pro users that don’t like the idea and may try to move to a new service (or something along those lines) because of it.